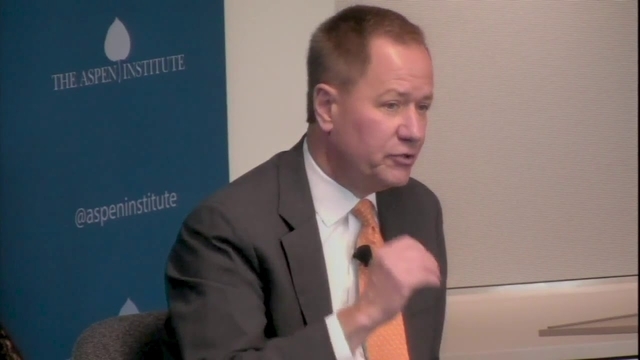 ANDE members WEconnect International, Walmart, and USAID worked together to help integrate women owned SGBs into global supply chains. 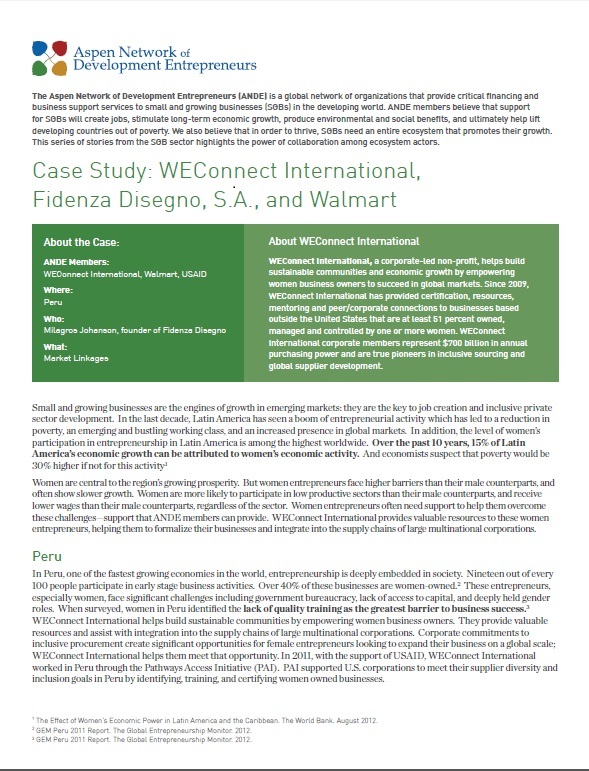 This case study looks at how WeConnect International helped one entrepreneur in Peru, Milagros Johanson, owner of the jewelry company Fidenza Disegno. S.A., get certified as women-owned and leverage this certification to build a lasting relationship with the world’s largest retailer, Walmart.